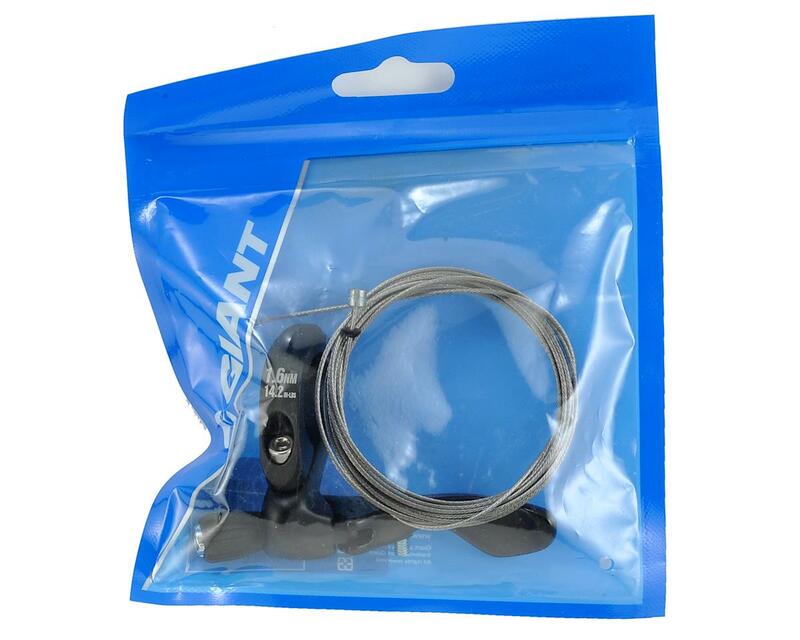 This is a replacement Giant Contact Switch dropper seat post 1X lever and cable set. 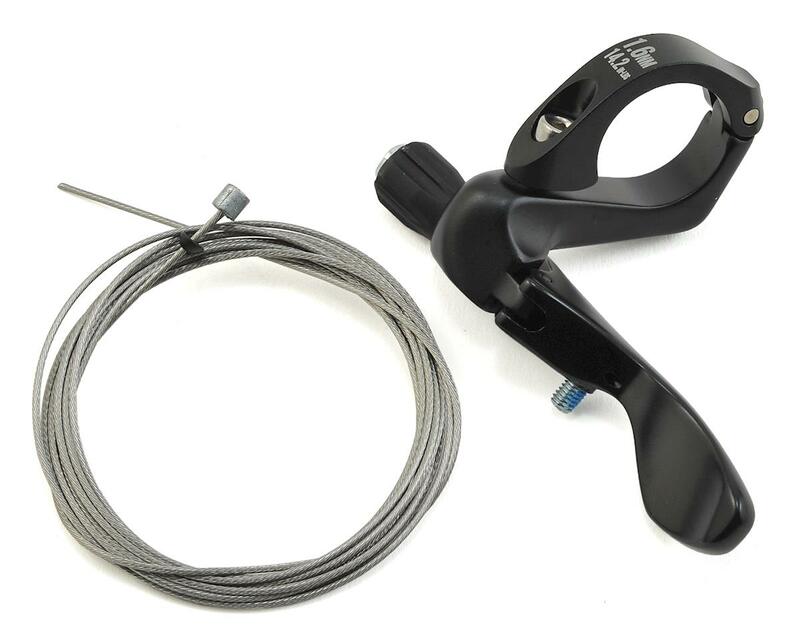 This under the bar dropper post remote lever replaces the shifter on 1x conversions, and provides an ergonomic position for dropper seat post operation. Eliminates taking your thumb off the bar during seat adjustments. Fits 25.4mm bar diameter, and is hinged to mount without removing the grips or brakes. Includes cable.